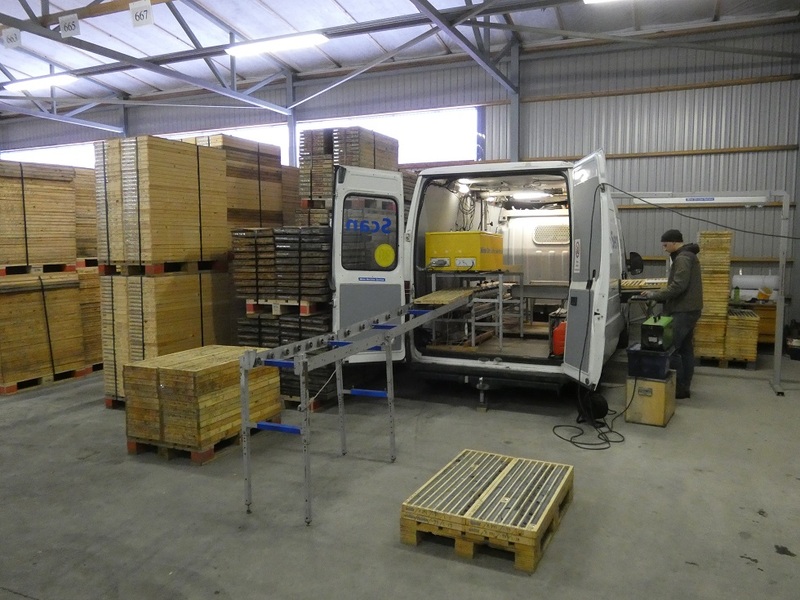 Scanmobile - Mobile laboratory for drill core analysis. Scanmobile is a mobile lab built in a utility truck (van) for analyzing elements minerals and rock quality from drill cores on tray. The analysis results; elemental composition, minerals and RQD-value are reported via a remote logging web browser; Remolog™. Fast turnaround time by XRF scanning of drill cores on trays. High resolution information on cores by non-destructive analysis. Less sample preparation, handling and logistics. High resolution photos automatically acquired and managed. Saves time in routine in data management. Rock Quality Designation and mineral recognition. Core fractures located and RQD-value automatically calculated. Minerals identified by color analysis. Remolog ™ web based remote logging and reporting browser. Elemental analysis, core pictures, RQD-value and minerals by color available before logging. Cores can be logged and managed from remote locations in real time.